Property Silver Coast - Apartment NOW SOLD! 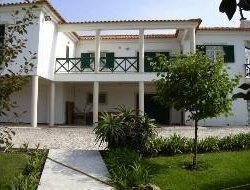 Located on a hill above the Lagoon and the beautiful beach at Foz do Arelho and set in well tended, and mainly lawned gardens. Each block is divided into 6 spacious apartments, which means only 30 apartments share the excellent condominium facilities. 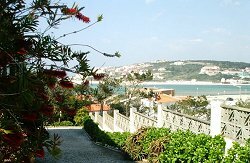 Panoramic views over the Obidos Lagoon. Safely control access to pool area. Pool 13m x 7m with ladder. Depth 1.5 - 2m. Master bedroom / ensuite shower room. Children's twin bedroom / ensuite shower room. Twin bedroom with adjacent complete bathroom. The apartment was available for tourist rental, but has been withdrawn from tourism rental to facilitate a quick sale. The property is now available for long term rental to prospective buyers who would like a try before you buy experience. Spectacular views over the Atlantic Ocean & Obidos Lagoon with mature landscaped gardens, circular driveway, own water supply + mains connection and the latest Solar and Alternative Energy technologies. Easy walking distance to the beach. Nr. Praia d'el Rey Golf Course and the new Bom Sucesso Golf & Design Resort, The Royal Obidos golf resort and Quintas de Obidos country club. Master bedroom / ensuite bath room. Double bedroom / ensuite bath room. 1 Double & 1 Twin bedroom sharing full bathroom. Pool table, darts, card table. Further kitchen and large dining area.